A new Website from the country's largest film and television studios puts the spotlight on legal streaming-video sources, using a search tool that works across multiple services. Just head to WhereToWatch.com and plug what you're looking for into the search box. Each movie or TV show page includes a list of streaming services that offer purchase, rental, or subscription access, along with a trailer and information about the cast and crew. If that sounds familiar, it's because the idea has already been done on sites like Can I Stream It?. 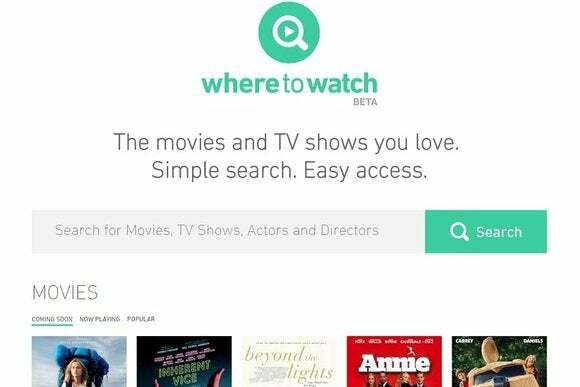 But WhereToWatch is a bit cleaner in its presentation, it has no ads, and it lets you search by actor and director in addition to basic title searches. It also seems more reliable in showing what movies are actually available. When searching for The Hunger Games, for instance, Can I Stream It? claims that the film is available on Netflix, but links only to the sequel, Catching Fire. Where to Watch accurately reflects the fact that Netflix no longer has the rights to stream the original film. On the downside, Where to Watch's search index is incomplete. It doesn't list movies and TV shows on Google Play, Crackle, HBO Go, or Sony Online Network, to name a few examples, and all Hulu results suggest that you need a subscription to watch. (Recent episodes of many Hulu shows are available for free on desktop Web browsers.) A section of the Website lists many more services, but they aren't being indexed in the site's search results. In fairness, however, the site claims to be in beta for now. Why this matters: The movie industry isn't known for creating useful, Internet-based services for viewers. Its last effort, a digital movie locker service called Ultraviolet, has been a disaster, so it's easy to reflexively distrust anything else the studios might come up with. Still, Where to Watch looks like a strong start, and could be truly great if it picks up a few more video services.